Chow down on Vietnamese food at the newly opened Saigon House in Midtown. 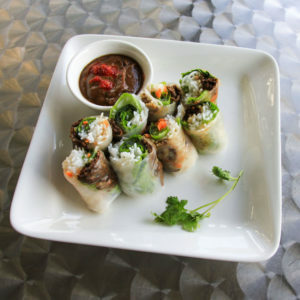 Saigon House – a new restaurant concept from the owner and chef of Pearland’s Wrap & Roll – is now open on Main Street in Midtown. The highly anticipated Asian fusion café opened to the public on September 28 offering everything you’d expect from a Vietnamese restaurant and more. Saigon House offers banh mis, lomein, fried rice and Vietnamese iced coffee, but also brings unusual dishes like honey spinach chicken (stir-fried chicken in a savory honey sauce served over spinach) and spreggrolls (crispy eggroll nestled inside of a fresh spring roll) to the table. Guests who choose to dine in can do so in the casual dining room or out on the cozy patio while to-go orders are available for those on the run. The restaurant is open for lunch and dinner service Monday through Saturday from 10am to 10pm. 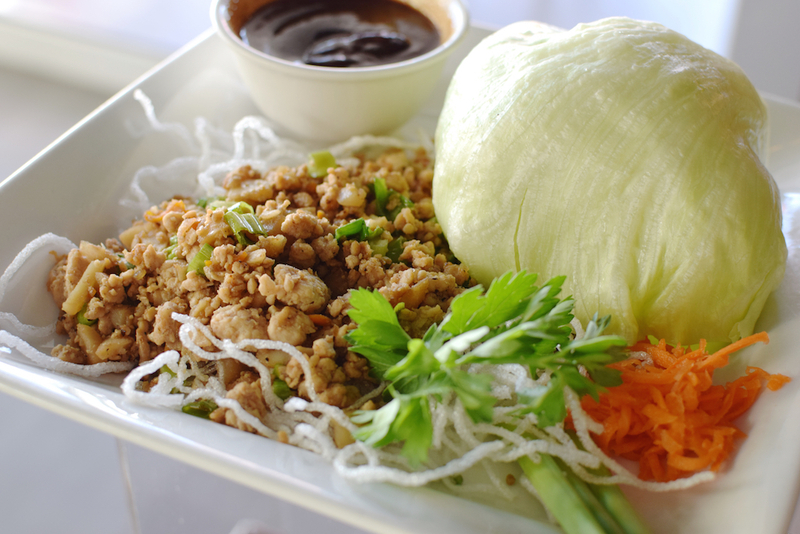 The restaurant offers traditional Vietnamese dishes like vermicelli bowls and banh mi sandwiches, but adds creative flavor combinations and seasonal produce to kick it up a notch. Dishes like green mango salad, Vietnamese fries, shaken filet mignon and udon bowls fill out the menu. The menu will expand in the winter to include dishes like pho. The made-to-order Spring Roll and Banh Mi Bars allow guests to customize their order and see it prepared right in front of them. A variety of beverages including Vietnamese iced coffee, fruit tea, lychee slushies, smoothies and freshly pressed juices are offered during service hours. Guests can expect to see wine and beer service in the near future. Located on the METRORail line between the Ensemble/HCC and McGowen stations, Saigon House is easily accessible from the Medical Center, Museum District and Downtown. Planning on driving yourself? Not to worry – there’s free parking in the lot behind their building. The restaurant is also walking distance to the new Midtown Arts and Theater Center Houston (MATCH), making it a great destination for a pre-performance dinner. This post was sponsored by Saigon House. 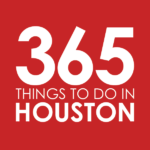 Per our sponsorship policy, we only accept sponsored content from businesses that meet our editorial standards and truly present a valuable dining experience, activity, resource, or destination for residents and visitors across the greater Houston area. Click here to learn about promoting your event or business.